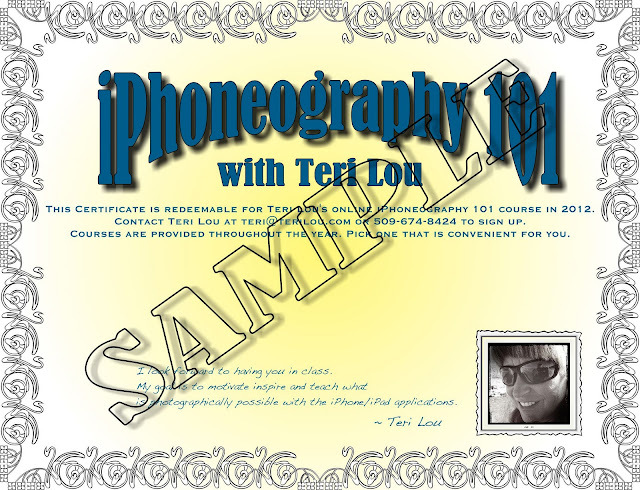 Artistic Adventurer - Teri Lou: Certificate for iPhoneography 101 Course - Buy NOW! Certificate for iPhoneography 101 Course - Buy NOW! Purchase your certificate for iPhoneography 101 course now! Blogging has been one of the most rewarding things I have ever done. It opened up doors that I never knew even existed, helped me to grow as an artist tremendously and allowed me to touch lives in ways I never dreamed of. 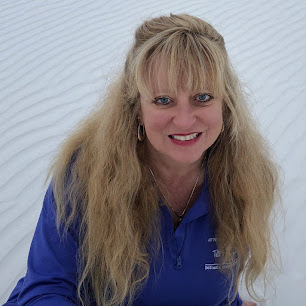 I am continually inspired when people express appreciation that I share so much information and how much they enjoy my excitement and passion for this art form. 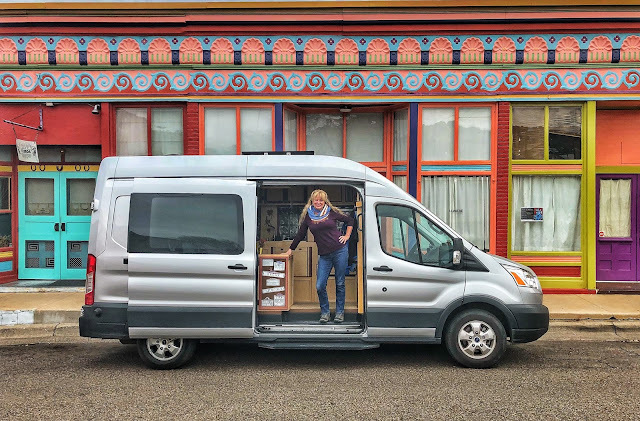 What was most surprising is how I have inspired other women to become more confident and adventurous; some have even started traveling and sleeping in their cars. Who would have thought! · Any iPhoneography 101 course in 2012. It will be offered several times, starting February 13th. iPhone Photography destination workshops in 2012. · Membership to the private and secret iPhone Photography group on Facebook. To purchase the certificate, click the Buy Now button and you will be directed to PayPal for purchase. Once the transaction is complete you will receive your certificate. Please print the certificate for reference. Upon my return, on February 6th, I will send a confirmation of payment. Certificates must be purchased by January 31st 2012 for discounted rate! The next iPhoneography Classes start February 13th 2012! Purchase an iPhoneography 101 certificate for yourself or someone else as a gift! Only $149 until the end of January and use it anytime in 2012!